OK, so I've been tagged twice - once by Della and again, but slightly differently, by Jordi. In 1998, I was a stay at home Mum, doing all the things SAHMs do. In addition, I was just beginning to get more involved with the WI, extending my embroidery skills by taking classes and courses and generally enjoying myself as much as I do now! 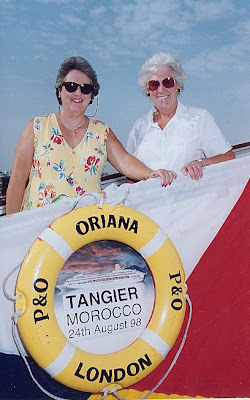 Though I find it hard to pin point exactly what happened in that year, I know from my passport stamps that we travelled to Thailand, to Cyprus, to the USA twice, and joined my parents on a Mediterranean cruise to celebrate their golden wedding anniversary. It's Saturday, so non-work things definitely take priority! It's an interesting day, spent mostly with my Californian friend, Mary. We've been to a private view at the spectacular home of two local artists, we've enjoyed a walk around Tetbury town centre stopping by a shop or two, viewed an apartment for sale, bought a cardigan and had a very enjoyable lunch with an amazing woman and her charming husband. Difficult that one. I am generally more than satisfied with my lot and find it hard to imagine what more I could wish for. 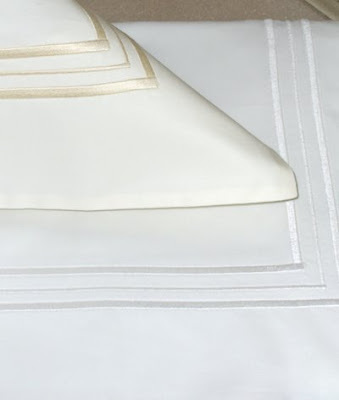 If pressed to spend it on pure indulgence, then perhaps I'd pay to have someone change the sheets on my bed and replace them with freshly laundered, finest quality white cotton every day. All neatly pressed and carefully done, of course - and please no tucking in at the sides, because I don't like to be confined, thank you. Of course, I'd also have to do something about the environmental fallout from so much unecessary washing and ironing but the rest of the billions would surely allow me to make some compensating actions. Hull and Hedon, both in East Yorkshire. York. Newport, Isle of Wight. Shepshed, Leicestershire. Avening, Gloucestershire and here. That's it. Teacher. I did once confess to some boy in a disco that I was an Elastoplast Packer but it was a lie. I think a lot of people have already done this. I’d love to see the answers from anyone who feels the need to share similarly useless but fascinating information about themselves! Come on - 'fess up! !